Produced by ( Pacina - TUSCANY ). 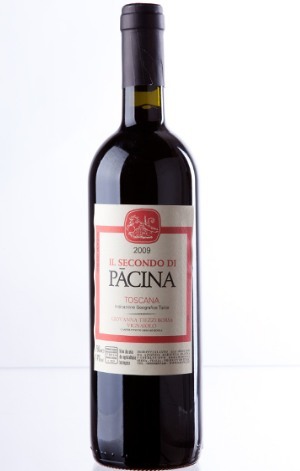 The Pacina estate is only a few yards from the Chianti Classico area, and this is a fit companion to their incomparable Chianti. A rich, mellow Tuscan of great depth, its dense fruit, shot through with herbs and, warm, dried fruit flavours. Fermented in concrete tanks where fermentation is spontaneous. Minimal sulphites (25mg/L) Non-filtered.